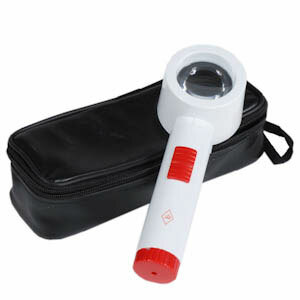 Deluxe high power aspheric low vision magnifier for the visually impaired is high quality and affordable. The bulb last approximately 10,000 hours and are powered by 3 AA batteries, not included. POSTAGE SPECIAL: Pay $8.00 postage for first item ordered. Free postage on all additional items. Your postage will always be $8.00 per order(Domestic Orders Only).